Snoring is a bedroom nuisance that can be heard in nearly half the households across the US on any given night. Anti-snoring products are a multi-million dollar industry that includes a variety of different devices and supplements, all of which promise less snoring and a better nights sleep. As they say, some of the best things in life are free and this statement also rings true when it comes to snoring. While there are products out there effectively silence snoring, before opening your wallet and handing over your hard earned money, you may want to consider one simple change in the way that you sleep at night. If you typically sleep on your back, side sleeping can greatly reduce or even completely eliminate loud and disruptive snoring. Just how effective is sleeping on your side? One Israel study suggests that greater than half of all snorers are positional snorers meaning that they only snore while sleeping on their back and not while on their side. Why Can Sleeping On Your Side Prevent Snoring? In the Israel study, 1118 of the 2077 patients (53.8%), who typically had breathing abnormalities while asleep, no longer experienced any issues when made to sleep on their side. Exactly why is it that simply sleeping on one’s side makes such a remarkable difference in snoring? The answer is best explained by examining the area in which snoring typically originates. While there are many reasons why snoring occurs, the most common reason is that the area surrounding the uvula relaxes during sleep and the airway becomes somewhat restricted. As air rushes passed this restricted area, the snoring sound is produced because bits of loose tissue tend to flap against each other. The use of alcohol and sedatives can actually worsen the intensity of snoring because it further relaxes the airway and creates a greater restriction. Well, how does sleeping on one’s side help to prevent this from happening? This can be explained by the effects of gravity. During sleep, the tongue and jaw tend to relax and then fall backward. While sleeping on your back, gravity allows the surrounding area of muscle and tissue to fall backward and ultimately pinch off the airway to the point where the air is still able to pass, but flapping occurs. If air is completely cut off, an apneic event occurs which results in the temporary pause in breathing. If apnea is present, a doctor can properly diagnose and treat this condition. For the scope of this discussion, we are referring to non-apnea snoring or benign snoring. Now, visualize a change in position from the back to the side. When the jaw and tongue both relax, instead of falling to the back of the throat, the loose tissue falls off to the side and does not impede breathing as it did while laying on the back. Side sleeping can be an effective way to prevent snoring; but what about the other 50% who are not positional snorers? Those who see no difference in snoring between side sleeping and sleeping on their back likely need a more aggressive treatment such as an oral appliance. The anatomy of a non-positional snorer usually prevents positional therapy from being effective. Also, in some cases where a patient is extremely overweight, airway fat can prevent positional therapy from becoming effective. In this instance, weight loss is often the best option. Which Side Should I Sleep On – Left or Right? Left side sleeping can also aid in digestion. One question that may come to mind when considering side sleeping is which side should you sleep on. While you may benefit from sleeping on either side, sleeping on the left side may be a better choice for many reasons. First, sleeping on the left side helps with digestion. This is especially true in those who have frequent heartburn. 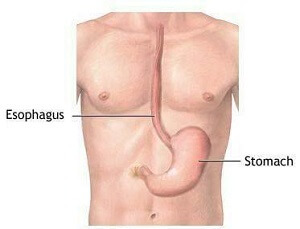 Sleeping on one’s left side helps to keep the contents of the stomach in place due to the shape of the stomach and esophagus. It also allows the stomach to empty more naturally while asleep. Heartburn, or acid reflux, can also keep you up at night which affects your quality of sleep. Aside from better digestion, sleeping on one’s side also makes it easier for the heart to pump blood because it’s pumping downhill and not uphill, allowing the heart to work less. Left sleeping also shifts all of the intestines to the left which moves them away from the Inferior Vena Cava (IVC) which is responsible for return blood flow back to the heart. This is also why pregnant women are advised to sleep on their left side as it allows for blood and nutrients to easily reach the placenta. While it’s fairly well known that there are several benefits to sleeping on one’s side to prevent snoring and there is still a debate as to which one is better. If you experience frequent heartburn, left side sleeping is likely going to be a good choice. Some studies have actually suggested that sleeping on one’s right side is better for snoring. If you are not sure which side will be best for you, try alternating between both sides and ask your bed partner of they notice a difference between right and left sleeping. Whether you choose to sleep on your left side or right side, the question that you are likely wondering is – How do I remain on my side throughout the night? After all, it’s very easy to fall asleep on your side and eventually end up on your back despite all efforts to remain on your side. The truth is, most of us toss and turn throughout the night while asleep. Is it even possible to control rolling over while sleeping? 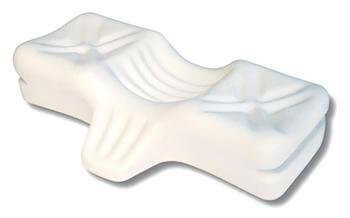 Specialty pillow: There are a variety of different specialty pillows that can be used to prevent rollover while asleep. There are some that help to facilitate side sleeping by making it more comfortable while there are other pillows that act as a bumper, making roll over physically impossible. Before investing a lot of money in a specialty pillow, consider fabricating a homemade pillow by taping together a series of pillows which can be placed behind your back to physically prevent rollover. If you are able to prove that side sleeping is effective, consider investing in a good wedge pillow, bumper pillow, or other side sleeping pillow which will be more comfortable. Tennis balls: Sew a pocket into the back of an old comfortable shirt and wear at night. You can also fasten tennis balls to the back of a shirt using a rubber band. The idea is that rolling over onto a tennis ball will be uncomfortable which will cause you to remain on your side. If one ball doesn’t work, you may want to try multiple balls in a series across the back of a shirt. Use a pregnancy pillow: While you may not be pregnant, a pregnancy pillow can be a helpful tool to keep you on your side at night. Such pillows are usually in the shape of a “U” and allow you to sleep comfortably on your side while preventing rollover. These pillows are somewhat expensive, so you should try one of the methods mentioned above before investing in one. While there is about a 50% chance that side sleeping will help with snoring, there is also a 50% chance that it will not help with snoring. If you have tried side sleeping and have not noticed a difference in snoring, you may have to graduate to using an oral appliance to stop your snoring. Oral appliances are often effective when side sleeping is not. Several oral appliances, also known as mouthpieces can be purchased online for usually less than $100. There are several to choose from, so I put together this list of snoring mouthpieces which should help to narrow down your choices. Do Anti Snoring Pillows Work? Next post: Good Morning Snore Solution on Ebay – Is it Safe to Buy a Generic GMSS on eBay?